Do you know Mrs. Ralph E. Smafield from Detroit, Michigan? Do you know why you should know her? 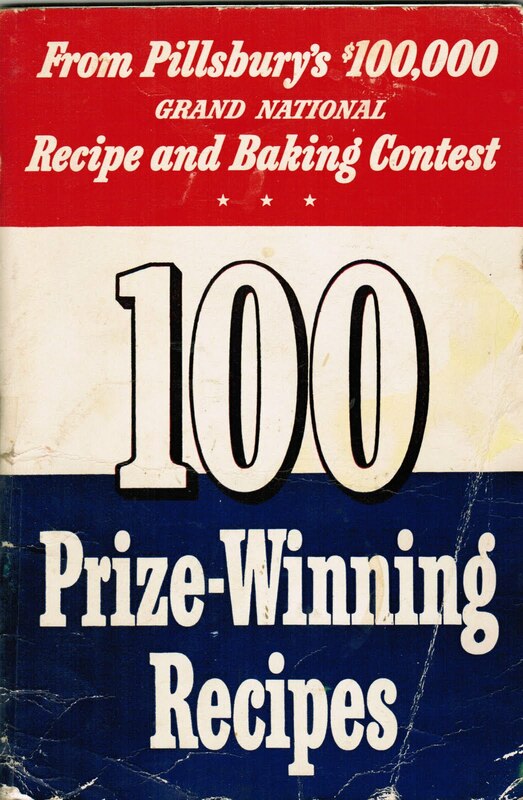 Mrs. Smafield was the first lucky winner of America’s first Pillsbury Bake-Off Contest held in 1949! Each and every Wednesday, from now until next March, 2012 will be designated “Wednesday Winners.” I will be making every single Bake-Off Grand Prize winning dish for you, showing the cookbook from each contest, and including fun stories and facts about the recipes, the contestants, and the contest itself. If you are wondering why I will be doing this until next March, it’s because that’s when the 45th contest will be held in Orlando, Florida, where someone will win $1 million for his or her winning dish. Let’s get started with the first contest and the first winning dish! Back in 1949 at the first contest, Harry Truman was president. Soldiers had returned from the war in the Pacific and Europe, and women moved from their wartime jobs to full-time homemaking. The rationing of sugar from the war had ended and women started baking up a storm. During that time, there was a feeling of celebration in the air. 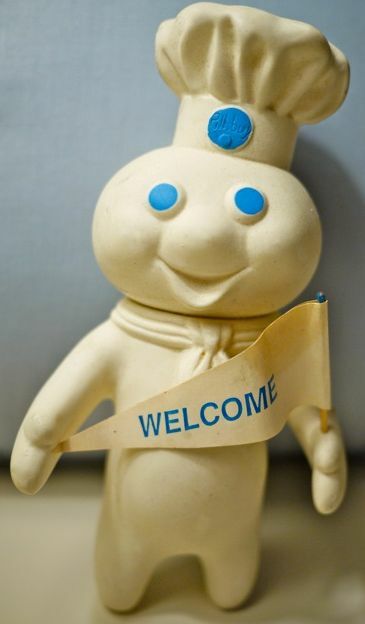 Over at Pillsbury, the president of the company, Phillip Pillsbury, felt like celebrating, too. He wanted to recognize the unsung heroes of the kitchen and reward them for their culinary talents. Mr. Pillsbury decided that one of the most glamorous places in the country at this time was the Waldorf-Astoria Hotel in New York City. So what if he could find the best 100 cooks in America, treat them like royalty by bringing them all to the Waldorf, and then win money for cooking their best dishes? The competition was announced, and the Pillsbury Bake-Off was born. The contest was first known as the “Grand National Recipe and Baking Contest.” Entries for the Grand National poured in from all over the country. Many of the people selected had never left their home state, never been on a train, or even stayed in a hotel. Imagine how they felt on December 13, 1949, being showered with such luxuries as being served breakfast in bed, a luncheon of pheasant under glass, or even have the opportunity to meet former First Lady Eleanor Roosevelt, and talk with television and radio personality, Art Linkletter. It was like a dream come true – and it still is today. Let’s take a look at the winning recipe, “No Knead Water-Rising Twists.” I was so curious to try this recipe and its strange method of dough rising in water. 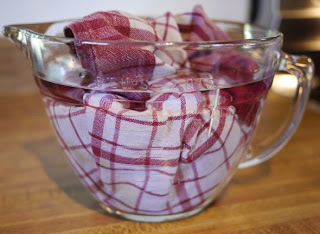 After making the yeast dough consisting of simple ingredients like flour, sugar, salt, eggs, milk, yeast, vanilla, and shortening, the dough is placed in a clean tea towel, allowing for space for the dough to rise. It is then submerged into a large mixing bowl filled with warm water (75 to 80 degrees) and left to stand until the dough rises to the top of the water, which takes about 30-45 minutes. 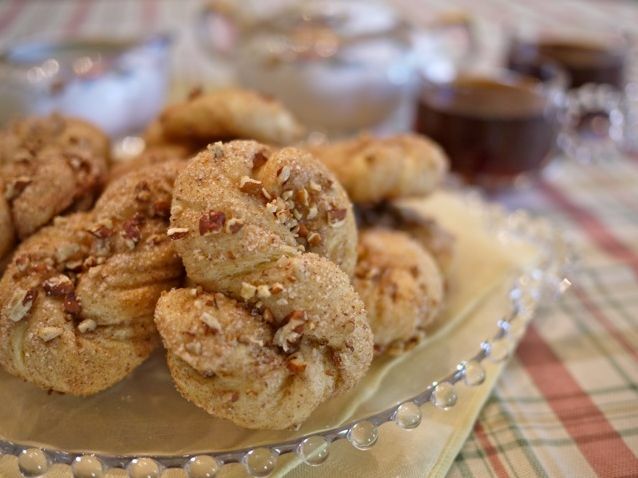 The dough, which is soft and moist, is removed, divided into 2 dozen equal pieces, rolled in a mixture of sugar, cinnamon, and chopped nuts, then formed into twists and baked. Here is how they look when finished! The twists are tender and sweet with a delicate richness. An amusing note: In the early Bake-Off books, the women winners did not have their given name printed. It was always the husband’s name, such as here, Mrs. Ralph E. Smafield. Just so you know, her lovely name is Theodora! This recipe was the first Pillsbury Bake-Off winner in 1949. Combine shortening, 3 Tablespoons sugar, salt, vanilla, and milk in mixer bowl. Add yeast and mix well. Blend in 1-1/2 cups of the flour and beat until smooth. Cover bowl and let rest for 15 minutes. Add eggs, one at a time, beating well after each addition. Blend in remaining 1-1/2 cups flour and mix thoroughly. The dough will be quite soft. Let rise in one of two ways: 1) Either set covered dough in warm place about ½ hour, or 2) tie dough in a tea towel, allowing ample space for dough to rise. Then place in large mixing bowl and fill with water (75 to 80 degrees F). Let stand until dough rises to top of water, about 30-45 minutes. Remove from water. The dough will be soft and moist. Combine nuts, ½ cup sugar, and cinnamon. Divide dough into small pieces with a tablespoon. Roll each piece in sugar-nut mixture; stretch to about an 8-inch length. Twist into a desired shape. Place on greased baking sheet. Let stand for 5 minutes. Bake in a preheated 375 degree oven for 12-15 minutes. "The Path to Culinary Enlightenment is Paved with Cookbooks"
What a very good idea! There is also a reprint of the Pillsbury Bake-Off recipes from 1959,it was on the Barnes and Noble web site. Isn’t that interesting! Never heard of that method before. Looks yummy! I think I may give that method of raising dough a try! It was a very strange method, but it worked! Thanks for the info, Lesley! This is a great idea, Debbie! I will be checking back with you often to see these winning recipes! Thanks, Lorie! I am so excited for this project! How fun! I love the combination of the history and the recipes. I’m going to be following along with your project! This is fabulous! I always try to make the current year’s recipe after it comes out…but this is beyond! I think you should contact the PR folks at Pillsbury re: your endeavors. I can totally see a newspaper article coming out of this. We have already given away two cakes! Amy – I used to do the same thing and make the winner after the contest (sometimes! ), but this is going to be a fun journey! Great post Debbie! And what a way to build the suspense! Great history lesson and I will be back every day for more, but especially looking forward to Wednesdays. I have a lot of the bake-off books and continue to look for them at tag sales and in old book stores. Lisa – tell me which ones you are missing for a complete set. I have extras of a lot of them and I’ll send them to you! What a great post! Last year, The Mill City Museum in Minneapolis had a Pillsbury BakeOff exhibit. Four of the five Minnesota 44th BakeOff contestants met up there for the first time. They had this recipe out for us to sample, but we weren’t impressed. Now I see that it was because of whoever made the recipe. Your rendition looks fantastic! Thanks, Debbie. I’ll be checking in to see all of your posts. Wow! A Bake-Off exhibit – how fun!! I would love to hear more about it. Does Pillsbury do that often? I’m so glad you enjoyed the blog. Thanks for reading! I know her because she was my mother! There were two different tokens you could use to double your prize winnings. One wooden and the other, plastic. The original prize was $25,000. She had a token which doubled it. She entered the contest because she really wanted a trip to New York and a new GE stove. I hadn’t been born yet but I remember the 1949 one. It was in our kitchen until 11 years later when she went back to New York to be on the Art Linkletter show and GE gave her a second one. She knew she wasn’t going to win so she went shopping and almost missed the banquet. When she got back to the hotel she had been caught in the rain and they threw her back together and seated her next to Mrs. Roosevelt, mom thought they ran out of seats! It was so funny hearing her talk about it. This is a little known fact, her station number was 93, I am not making all this up. I’m so excited to find your blog because I have a HUGE request! My grandmother, Ruth Underwood, was one of the 100 finalists at the first Pillsbury bake-off. Her recipe was “Dotted Swiss Cake.” This weekend, at the age of 87, my sweet, amazing baker gramma passed away, and while we have the original letter from the Pillsbury company inviting her to the competition and a news write-up about it, we have been unable to find the recipe. We were hoping to make it for her Celebration of Life service this weekend. It looks like you have the cookbook that would have her recipe! Could you send me that recipe (fischer.b2@gmail.com)? Thank you so very much! Hi Brooke! I am just seeing your comment now, and it is February 20th. So sorry I didn’t see this earlier. It sounds like I still have time to send this to you, so I will do it ASAP via email! What a wonderful story about your beloved grandmother – I am so excited that you wrote! Hi Maryann- Since the 1949 booklet was the first Bake-Off (called the Grand National back then), it can be a little difficult to find and sometimes expensive. The best place is eBay or I have also seen it in antique stores. Good luck! It’s a great gift idea for your sister.